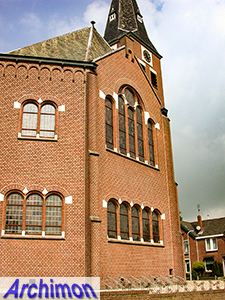 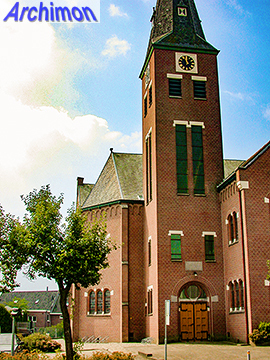 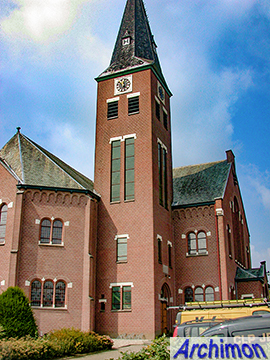 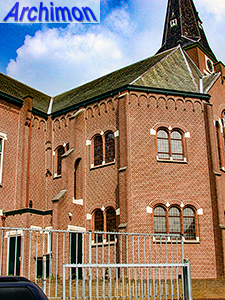 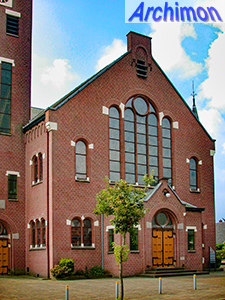 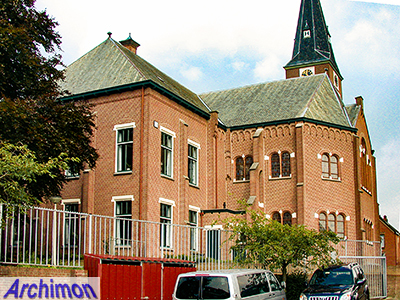 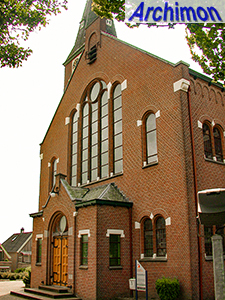 The Oosterkerk ("eastern church") was built for the protestant denomination of the Gereformeerden in 1913 and replaced a smaller church, built in 1844, on the same location and with the same name. 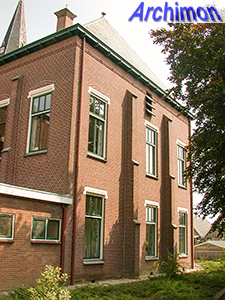 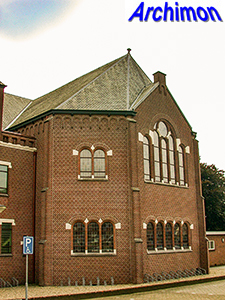 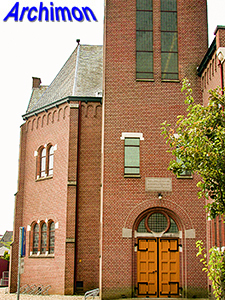 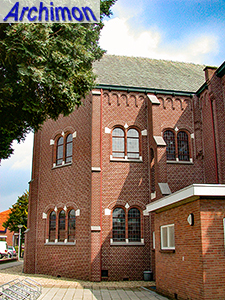 The new church was designed by Ane Nauta (1882-1946), a productive architect of churches of the Gereformeerden, especially in his native province of Friesland. 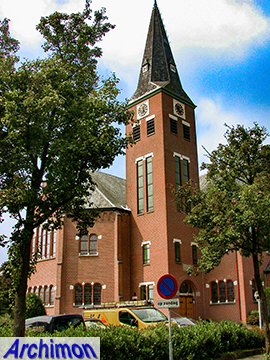 Several of his churches are in a Rationalistic style similar to the work of Tjeerd Kuipers. 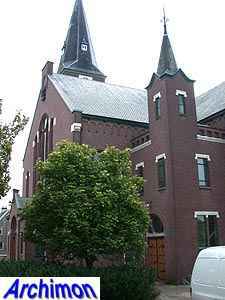 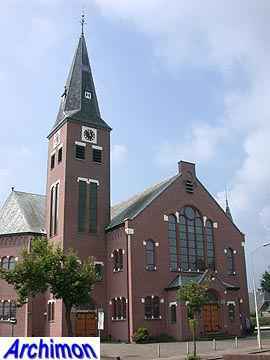 In 1905 Nauta had been in charge of the construction of Kuipers' church in Winterswijk. 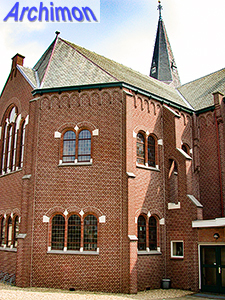 The Oosterkerk is an example of this style, which was influenced by the work of H.P. 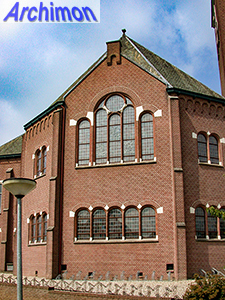 Berlage, although it also features some influences of neo-Renaissance. 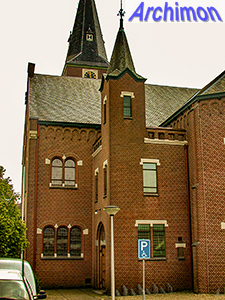 The church itself has a T-shaped ground-plan, but the presence of a large consistory on the back adds a fourth arm. 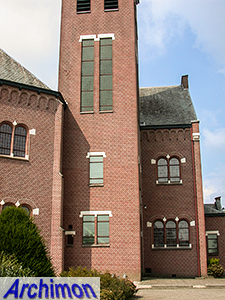 The church is centralized and has polygonal transept-arms. 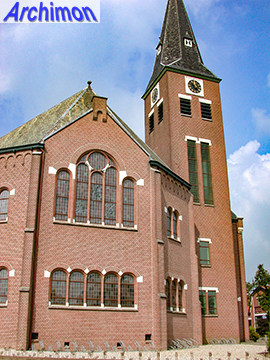 Similar to several of Kuipers' churches, the Oosterkerk has two towers, a tall one and a smaller one.